If a privileged document is not properly labeled and then inadvertently disclosed to an opposing party during litigation, the result can be a waiver of privilege and serious complications. Consider the case of Rico v. Mitsubishi Motors (2007) 42 Cal.4th 807, which involved a dispute over internal notes that defense counsel created during a deposition strategy session with an expert. He printed a copy of the notes and stored them in his briefcase. When he became momentarily separated from his briefcase during a separate deposition, the notes fell into the hands of the plaintiff’s counsel, who would later use them in deposing the expert. Was this incident a mistake or thievery on the part of the plaintiff ’s counsel? That may be debatable, but the crucial fact that gave rise to this dispute is that the notes were not labeled as privileged. If they had been conspicuously designated as “Privileged and Confidential” or “Attorney-Client Work Product”, the resulting dispute—which eventually went to the California Supreme Court—could have been avoided or resolved far more quickly. In another example-- Local 851 of the Int'l Bd. of Teamsters v. Keuhne & Nagel Air Freight, Inc., 36 F. Supp. 2d 127 (EDNY 1998)-- a paralegal accidentally attached a privileged document to a court filing. Since the document wasn’t labeled as privileged and carefully segregated from non-privileged documents, the court ruled that privilege had been waived. So how can a document be labeled in a way that carries a clear designation of privileged information? Start by including the terms “Privileged and Confidential” or “Attorney-Client Work Product” in the header and/or footer of all privileged documents. 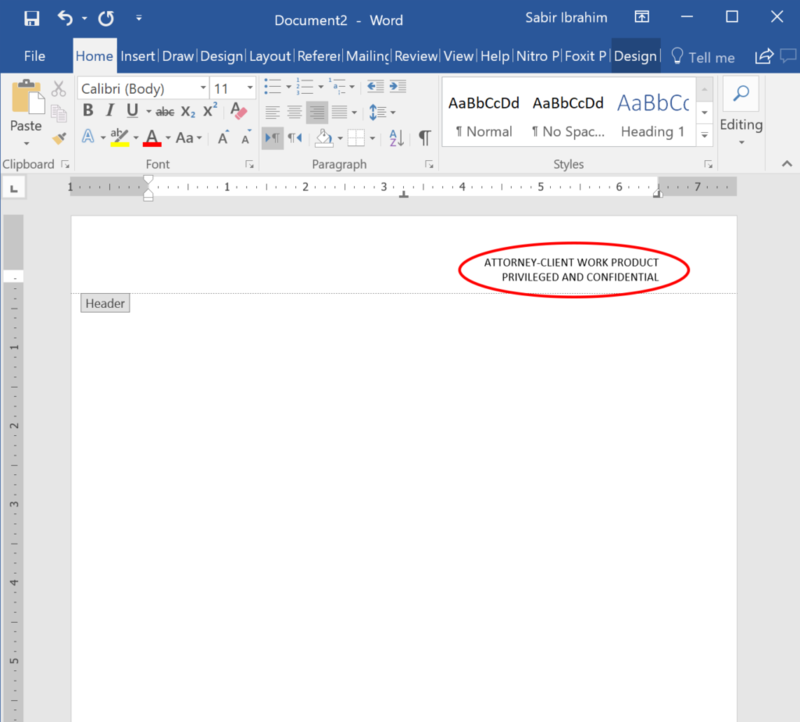 To avoid skipping this vital detail, create a standard template in Word. This can be done in just a few simple steps. Create a new document and write "PRIVILEGED AND CONFIDENTIAL" and/or "ATTORNEY-CLIENT WORK PRODUCT" in the header. Save this as a .dotx file. Do this by clicking “save” then pulling down the menu under “Save as Type”. 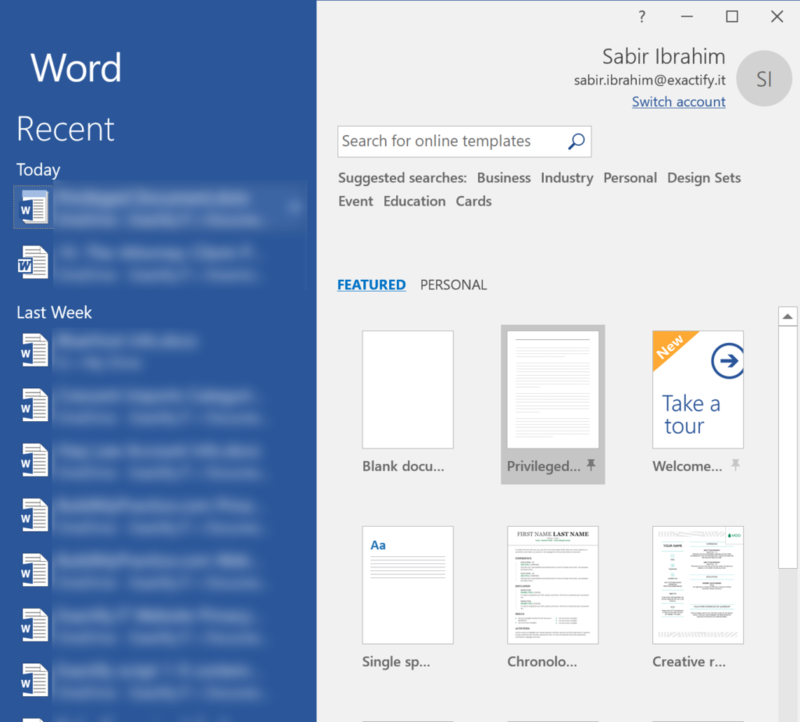 Select “Word Template”. 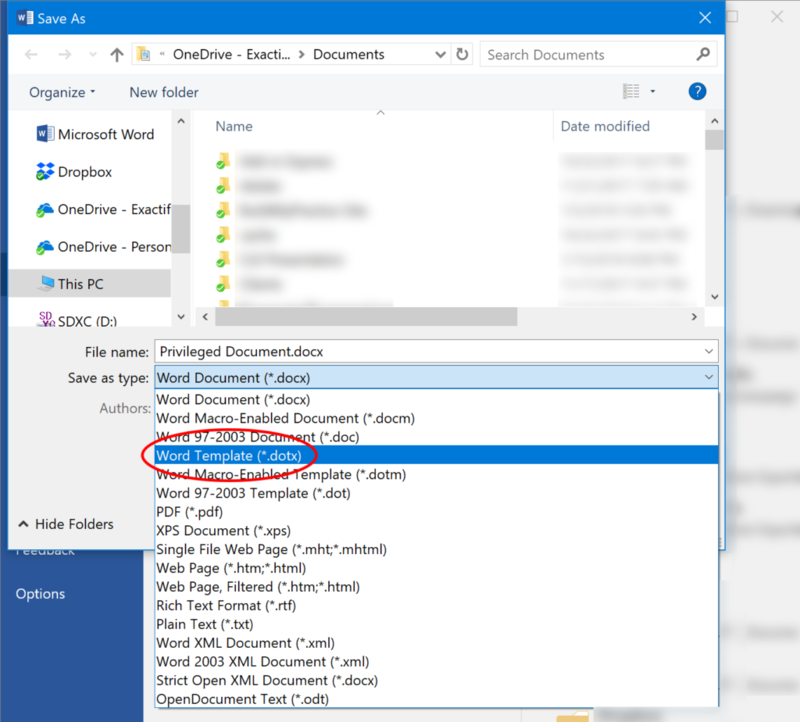 Assign a title to the new template type by giving it a descriptive file name (“Privileged Document Template.dotx”). The template you’ve created should now appear in the 'Personal' templates section of the new document page. 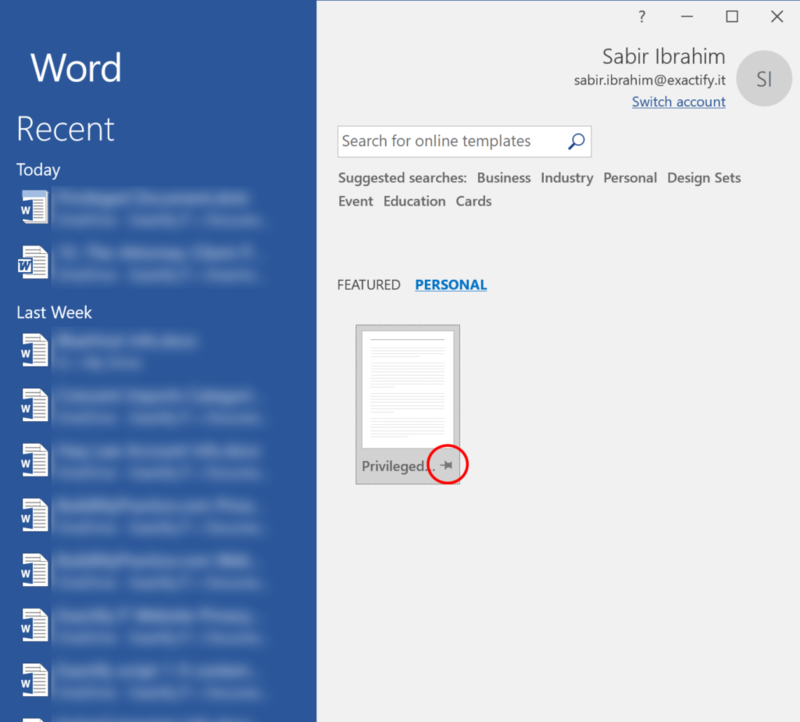 To make your privileged document template appear in the 'Featured' templates section, click the pin icon. The privileged template will now appear in the 'Featured' templates section and will be available for use whenever you need to create a new privileged document. For more information on the vital best practices that can protect the integrity of your data and shield privileged information from exposure, contact the legal IT security team at Exactify.IT.